Summer and Fall bridal expo season is just around the corner. What are you doing to prepare? Just showing up with no forethought to what you will do in your booth or setting goals for how your will collect and follow up with leads is a sure way to fail. From time to time we hear comments like “I only got 3 weddings from the last show, I’m not sure its working for me”. 3 weddings might be a great result for one company and not so great for another. What was your revenue from those 3 weddings and what was the cost of the show? How many more weddings will you get in the future from friends of those 3 weddings? Did you follow up on all your leads? Bottom line the ultimate responsible person for success at a bridal show is YOU! The show producers job is to bring in the brides. Read through some of the tips below to see how you can improve your performance at the next show you are in. Ask yourself, would you rather not meet the couples walking through that show? Would you rather stay home when your competition is there? The 2017 Bridal Spectacular “Veils & Vino” Bridal Show is just around the corner where more than 700 engaged couples will be looking to meet the wedding professionals and services they need for their wedding. Send out a pre-show email blast or postcard and ask brides to stop by to see you. You can also email personal invites with a special message or promotion you will be running during the show. Post announcements on your social media channels asking your followers to visit you at the show. You can also run a social media contest or provide an exclusive social media offer for those who stop by. Use #BridalSpectacular2017 and #WedPro2017 to save your couples $5 off admission. Having a great looking booth with branded signage and handouts is fundamental to help you look professional and standout to brides. Be sure to create and order any booth materials well in advance, including banners, business cards, brochures/handouts, signage, as well as a way to track your booth visitors. To make it even easier for our exhibitors, Bridal Spectacular has teamed up with local advertising agency, Up All Day Creative Solutions, to provide you with an exclusive discount for custom designed marketing materials to help you get the most out of your show experience. To learn more, please click here. It’s that time again! The 2016 Bridal Spectacular “Veils & Vino” Bridal Show is just around the corner where Las Vegas wedding pros will have the opportunity to meet with more quality brides than at any other bridal show in Las Vegas. Whether you are new or have been exhibiting for years, we have a few tips and reminders to help you get the most out of the show. 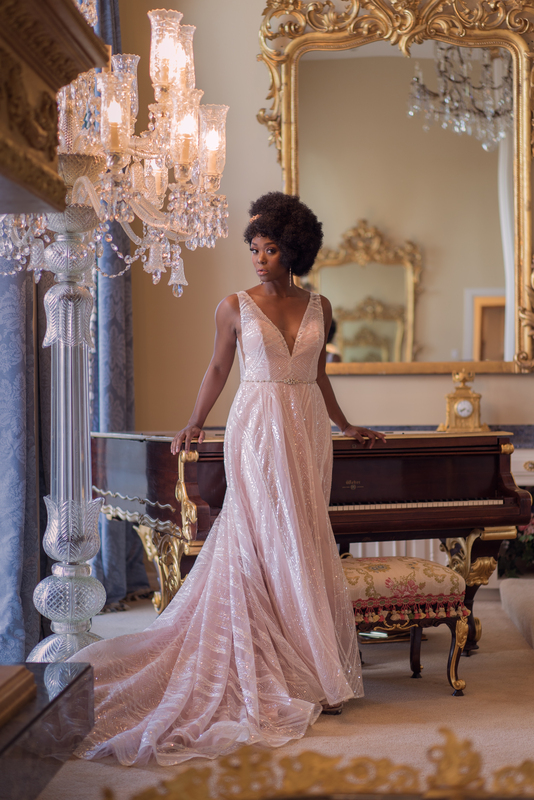 Share the Bridal Spectacular show schedule on your website and social media with a link to sign-up for an one-on-one consultation. Post announcements on your social media channels asking your followers to visit you at the show. You can also run a social media contest or provide an exclusive social media offer for those who stop by. 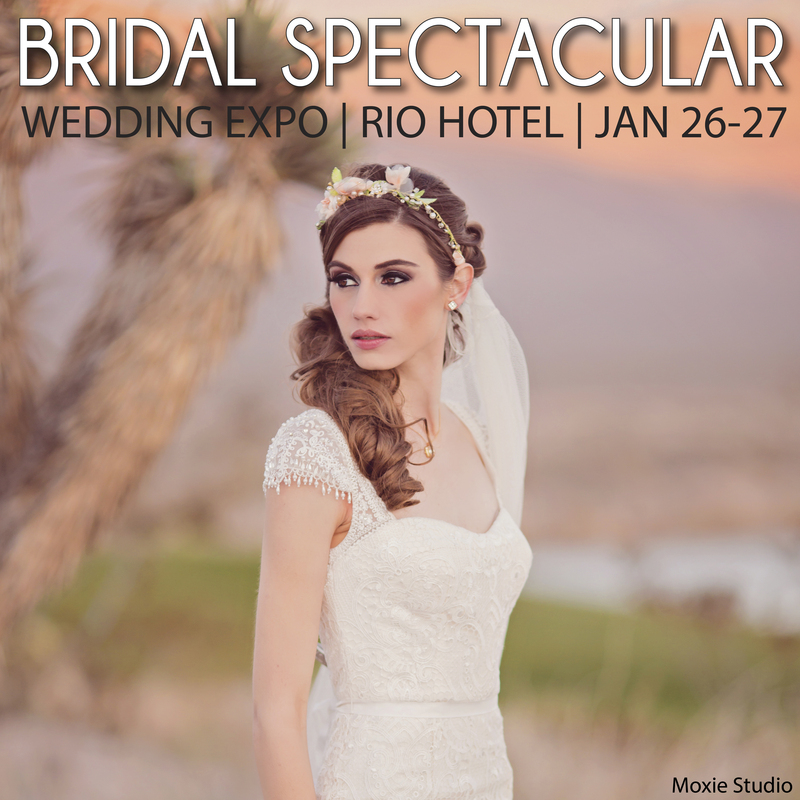 Use #BridalSpectacular2016 and #WedPro16 to save your couples $5 off admission. When speaking with them at the show, be sure they scan your vendor badge so they can easily follow-up with you afterwards. Order your BrideScan Exhibitor Marketing Kit from Bridal Spectacular by August 10, and we will provide you with two BrideScan lanyards, a BrideScan sign and a packet to keep everything together and orgainized for use from show-to-show. Call 702-368-0088 for more information. We will set you up in the BrideScan system and you will receive an email with the information you need to fill out your profile and any special offers you want the engaged couples to see. Having a great looking booth with branded signage and handouts is vital to help you look professional and standout to brides. Be sure to create and order any booth materials in advance, including banners, business cards, brochures/handouts, signage, as well as a way to track your booth visitors. To learn more, please email deidre@upallday.com. Bring booth staffers who are excited to be there and engage with the couples. Give your staffers regular breaks so they don’t burn out. Also be sure to wear comfortable shoes. DO NOT start breaking down your booth until the show is over! The show will end on Saturday at 4pm this year and couples will stay until the very end. If you start breaking down early, you will deter the couples that are there until closing. Get social with the Millennials! Post photos to your social media sites with couples and/or stream live videos from the show on Facebook Live or Periscope to build buzz around your booth. Give your attendees something enjoyable and fun to do, like an engaging demo to keep them more interested. Follow-Up ASAP– It’s vital to maintain the momentum you built during the show and contact your leads while you are still fresh in their mind. Whether it’s an email, mailer or phone call, following-up right away is a great way to help your company stand out from competitors who may take weeks to follow-up with couples. Have Patience- Do not expect all of your bookings to occur right away. Engaged couples come to bridal shows at all points in their planning process. ROI- Keep in mind that this is an investment, and your return on your investment depends on you. Remember, if you are proactive, bring your top team and implement just a few these tips, your show experience will be more successful, and more importantly, will lead to more business. Good luck and we look forward to seeing you all soon!